Learn more at our Twitter #citscichat with Dr. Caren Cooper (@CoopSciScoop) on Aug 17 at 4 pm ET. Participants from most of the projects highlighted here will participate. 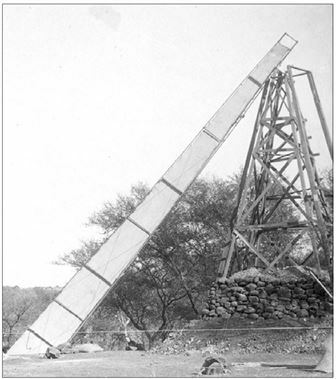 Over a century ago, American astronomer W.W. Campbell set up a 40 foot ‘Schaeberle camera’ in Jeur, India to take pictures and study various properties of the sun’s outermost layer called the corona during the 1898 total solar eclipse. To make sure no people or animals would tamper with the camera before the eclipse occurred, he found volunteers to guard the delicate equipment the evening before the experiment. Today, in 2017, volunteers called citizen scientists are again helping scientists make observations and learn more about the sun and Earth interaction. This time though, citizen scientists across the United States will have more direct involvement, actually collecting data by making their own observations and operating instruments. Using a modern solar telescope, citizen scientists will operate the equipment to further answer questions about the sun’s corona, such as what causes its extremely high temperature. Scientists are interested in learning more about the corona because it can send off explosions called coronal mass ejections towards our home planet that can interact with our power grid systems, for instance. 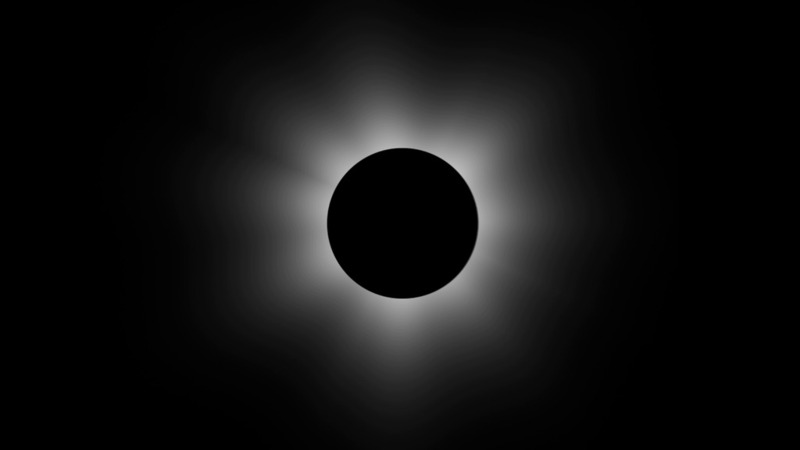 The corona is extremely difficult to measure outside of a solar eclipse because it is usually blocked out by the brightness of the sun’s surface. For this eclipse, the Citizen Continental-America Telescopic Eclipse (CATE) project recruited the public to make observations of the corona while the sun is blocked out by the moon. Over 60 volunteer observing teams across the path of totality across the United States will combine their individual two minute observations to make a continuous 90 minute movie of the white solar corona. Participants, including students from 22 high schools, have already been selected and trained. With more amateur-level equipment, the Google sponsored Eclipse Megamovie team enlists the help of the public to take pictures of sun. The project will create a spectacular “Megamovie” with all of the observations. Their website also has a great easy-to-use simulator of the eclipse with a helpful timeline. Unlike the Citizen CATE project, this project uses consumer grade equipment (like their app on your smartphone! ), which could bring in a million observations from users! The eclipse also provides a special opportunity to learn more about “space weather” that affects Earth and satellites. When you see the solar corona, you see what causes “space weather.” Earth’s upper atmosphere called the ionosphere is charged by the sunlight hitting it and this will change rapidly during an eclipse. Those changes affect the density and temperature of different layers of the atmosphere differently. Various types of space weather can block high-frequency radio waves for radio communication, disrupt satellites, and degrade Earth’s power grid operations. 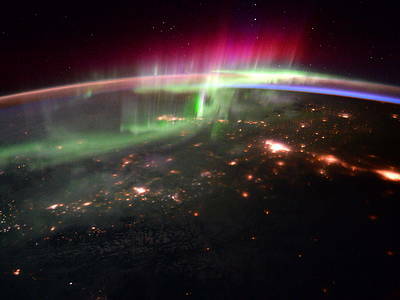 It can also cause beautiful aurora (which is what our citizen science project Aurorasaurus tracks!). On August 21st, citizen scientists will help record changes in Earth’s upper atmosphere. Two projects are focused on these effects. The first, called HamSci, uses the vast network of ham radio, or amateur radio, enthusiasts. Ham radio allows people to talk to one another without internet or cell phones. Ham radios operate in short-wave bands which “bounce” from the transmitter off the ionosphere to the receiver’s antenna. Creating similar effects as nightfall, the eclipse’s shadow alters the ionosphere, which affects radio wave communication and are useful for the study of ionospheric physics. In HamSci, ham radio enthusiasts will participate in a large scale experiment to operate and make observations during the eclipse. Scientists do not quite know how the eclipse will change the upper atmosphere so collecting as much data as possible will be valuable.The HamSci project will analyze these observations for their scientific content relating to the height and density of the upper atmosphere. Ham radio operators will participate in a contest to take as many observations before, during, and after the eclipse. For those who are not ham radio enthusiasts, a project called EclipseMob uses the same concept, but different equipment. In fact, you build your own antenna that captures radio signals from the air and feeds them into the receiver. They will be sensitive to different regions using different wavelength wave and different dynamics. You can learn more about EclipseMob and order instrument parts here. Closer to home, “normal” weather is also affected by the eclipse. First, the lack of sunlight cools the Earth. The rapidly moving dark shadow can also change clouds and winds. You can report on these changes with NASA’s GLOBE Observer app. This is part of the larger worldwide GLOBE program, Global Learning and Observation to Benefit the Environment. When using the app, you’ll want to look around at the landscape changes as well as the Sun. You can also see what NASA Earth observing satellites are seeing and if they are seeing the same clouds as you. Your observations help calibrate those satellites. But, what about plants and animals? While they don’t know an eclipse is happening, they may sense some of the effects. Thomas Jefferson remarked on the lightning bugs he observed in 1778. Now, there is a citizen scientist project, called Life Responds part of the iNaturalist program, to move our knowledge from anecdotes to the rigorous scientific method. Through this project, data will be collected at a global scale to more robustly observe the changes. Another project, called the Quantum Weather Project, will also launch weather balloons and asks for observations of shadow bands, mysterious optical phenomena you can see right before totality. No matter your interest or experience level, the eclipse is an unprecedented opportunity to participate in real science experiments! Observe these remarkable changes, and use your enthusiasm to help increase our collective understanding of the natural world. For more information, a great website where you can find these projects and more is eclipse2017.nasa.gov. If you’re not around the United States for the August 21st eclipse, you can still see it livestreamed on the NASA website. The NASA Space Grant Network is funding a unique project this summer for the total solar eclipse. Students teams will be conducting high altitude balloon launches from different locations along the eclipse path. The items carried on the high altitude balloons will be live streaming the eclipse to the NASA website from near space and sending images. Live streaming a total solar eclipse has never been done live and will be extensive as a network of teams will be stretched over many states. Lastly, what if you want to participate in more citizen science projects and can’t wait until the next solar eclipse? Check out Aurorasaurus, a citizen science project, aimed at the aurora, another part of space weather. Aurora chasing is like eclipse chasing, but harder to predict. Or participate in International Observe the Moon night on Oct. 28, 2017 to build on your eclipse experience! Thanks to all of the sponsors and of course, you, the curious citizen scientist super heroes who will make it happen! This entry was posted in Other resources for aurora hunters, Solar Events. Bookmark the permalink.